Aug 14, 2014 – Alberto Contador, who was forced out of the Tour de France on Bastille Day with a broken shinbone, intends to start the Tour of Spain after all, he announced on Thursday. At the end of July Contador had ruled himself out of the Vuelta, which begins on August 23 in Jerez, having crashed hard on a descent and suffered the injury which ended his hopes of a third Tour win. the Tour of Spain,” he added. A surgeon traveled from Madrid to Contador’s home in Lugano, Switzerland, to treat him, re-opening the wound and cleansing it to allow it to heal better. “Thanks to the work of the specialists who have treated me I could recover in record time. 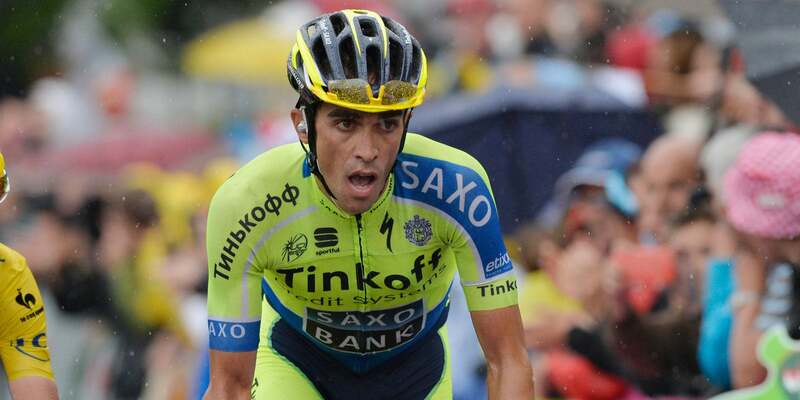 Am deeply grateful to them all,” Contador said. It was a far cry from his tweet in July when he ruled himself out of the race he has won twice, in 2008 and 2012. “Bad day today, there is a complication in the scarring of the injuries, I don’t have a date for when I can climb back on a bike. Goodbye to the Vuelta,” he said then.